Why it’s daunting: Perhaps not so much daunting as just ill-defined, “chanson”—which translates simply as “song”—is a label that’s been loosely applied to all manner of French music, from Moulin Rouge-style cabaret to the yé-yé pop of Serge Gainsbourg, which can be confusing for outsiders. But to aficionados, that’s a bit like lumping Led Zeppelin in with the Jonas Brothers under “rock ’n’ roll.” What most on the Left Bank and beyond would label a “chanson” is a sort of lyrically driven, emotionally charged song with deep roots in literary realism, plus a theatrical sense of drama that makes it a far more serious breed than Gainsbourg’s bubblegum pop—though that also means it carries a whiff of pretension, particularly to anyone who doesn’t speak French. Overcoming the language barrier is intimidating enough, but France’s reputation as a culture powered by pomposity certainly doesn’t help. Unfortunately, many of Brel’s studio albums have long been out of print, and navigating the dozens of limited-run compilations of Brel’s work can be maddening, especially since they’ve been released under so many different titles. But the 2003, 16-CD box set Boîte À Bonbons makes a valiant attempt at creating a somewhat linear chronology. For those not ready to make a commitment, 2004’s comprehensive Infiniment provides an easy introduction by including many of the songs that found international fame through their cover versions. 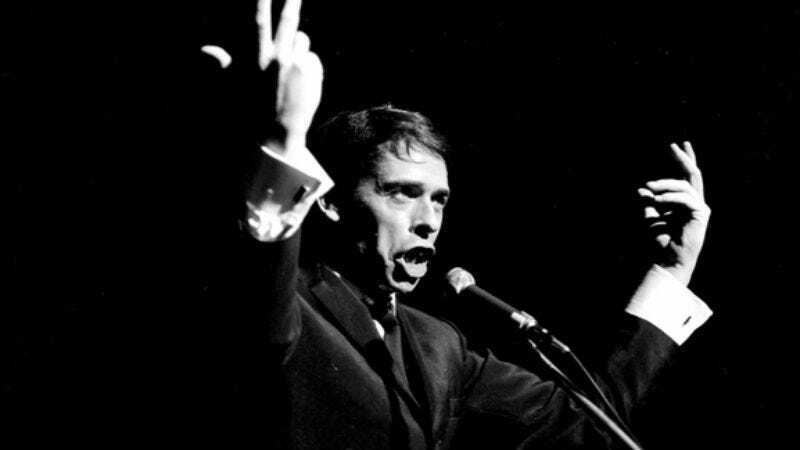 Perhaps the most faithful interpreter of Brel’s work was Scott Walker, and Infiniment has several tracks which practically defined Walker’s early solo career—“Mathilde,” “Amsterdam,” “La Chanson De Jacky” (“Jackie”), and “Au Suivant” (“Next”)—all of which sound equally charged in Brel’s nimble, sarcastic, even accusatory cadence. Naturally, Infiniment also features Brel’s most famous work, “Ne Me Quitte Pas,” a stark, surprisingly tender torch song which Brel once said, in typical Brel fashion, was really about “the cowardice of men.” It’s been interpreted in dozens of different languages, and sung by everyone from Nina Simone to Frank Sinatra. It must be said, though, that not even their versions managed to convey the palpable sense of desperation that clings to Brel’s every line. Next steps: Brel probably would have ended up back in Belgium working at his father’s cardboard factory were it not for the path laid by Edith Piaf, still France’s most beloved singer. Like Brel, Piaf imbued all of her songs with a passion that sounded simultaneously earthy and supernatural, her powerful voice either skipping playfully along the avenues of Gay Old Paris or drowning in a world-weariness that plumbed the depths of hell. Also like Brel, Piaf’s work mostly exists in the form of dozens of compilation albums, the most recent of which were released to capitalize on the renewed interest generated by 2007’s La Vie En Rose. The best is 2002’s Eternelle, which features 18 of her most famous songs—including “Non, Je Ne Regrette Rien” (“No, I Regret Nothing”), a cathartic rouser about finding rebirth in romance that serves as both kiss-off (to the “good that has been done to me and the evil”) and defiant, headlong march toward the future. Where not to start: Georges Brassens is a favorite of intellectuals, a singer whose bleak (though occasionally comic and even pornographic) rants against the bourgeois and odes to anarchy made him something of a precursor to the protest-folk and punk movements. However, he’s also nearly impossible to translate—although dozens of heady academic dissertations have tried—and his sparsely arranged music and relatively flat delivery make him an off-putting introduction for neophytes who already have plenty of other barriers to overcome. Brel and Piaf are the show; Brassens is the late-night café rumination that follows.